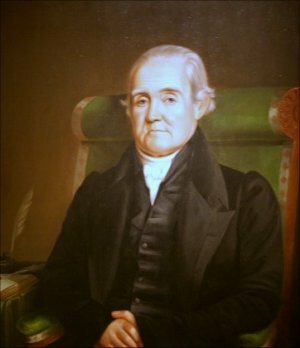 Noah Webster was born in Connecticut. He was a descendant of John Webster, who had been the state governor in the mid-1600's. He lived during the time of George Washington. He attended law school for a while, then he went home and found his family needed help. He took a job teaching school to earn money to support them. The school was in a shack and as the teacher, he had to do everything. He had to clean and repair the building as well as teach. But he wanted to set a good example for his students, so he did every task cheerfully. He was a good teacher. Instead of flogging* his students to get them to learn, he rewarded them. Later when he was a schoolmaster in Hartford, he lived with a judge who had a large library. He was able to study law using the judge's books. He became a lawyer, but what he really wanted to do was to teach others. He decided to write a spelling book and a grammar book. More than 100 million copies of the spelling book were sold. It became known as the Blue-backed Speller. He rode by horseback and in stagecoaches from town to town in the original 13 states showing people his books. He called them "American books for American children". He would get important people to say good things about his books, then he would show these letters to schools and give them sample copies of the books. The schools usually ordered hundreds of the books for their students. a "mother tongue",* so that people could work together and be united. He made a dictionary for the people. and "plough" to "plow". He wanted to change "tongue" to "tung" and "women" to "wimmen", but people didn't want to make the changes, so he kept the old spellings of those words. He changed the way people pronounced "tion". The word "salvation" had been pronounced "sal VA she un" and he said it was alright to say "sal VA shun". 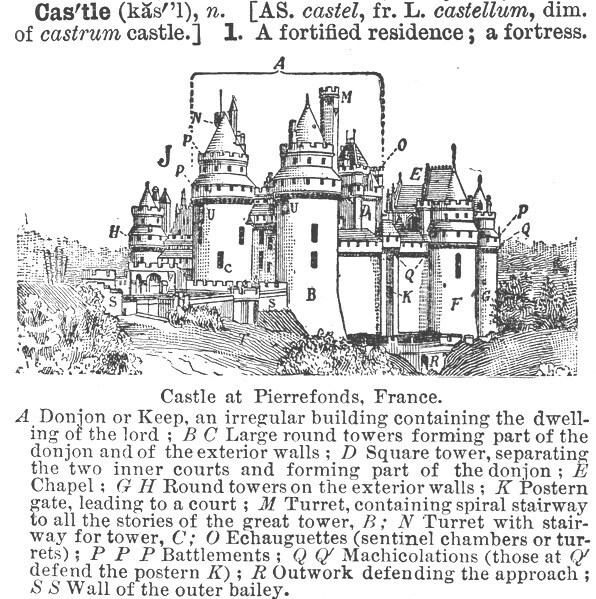 When he started working on his dictionary, he wanted it to be accurate. * He wanted everything in it to be right. He spent more than 20 years and thousands of dollars researching the origins* of words. He wanted to know where the words first started and how we came to be using them. He looked in libraries in England, France and the United States. He did all the work himself. When the dictionary was finished, it had 70,000 English words in it. He called it "An American Dictionary of the English Language". It has sold more copies than any English book except the Bible. Later the Merriam family bought the right to publish the dictionary and it became known as the Merriam - Webster dictionary. 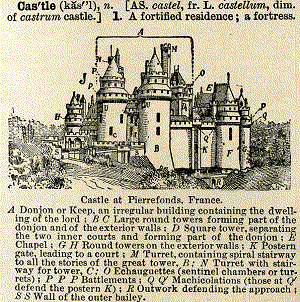 Webster in addition to creating a dictionary helped to create an American nation. Noah Webster's "Dictionary of the English Language"
Press "Go" to search for books about Noah Webster. This page displayed 149,291 times.